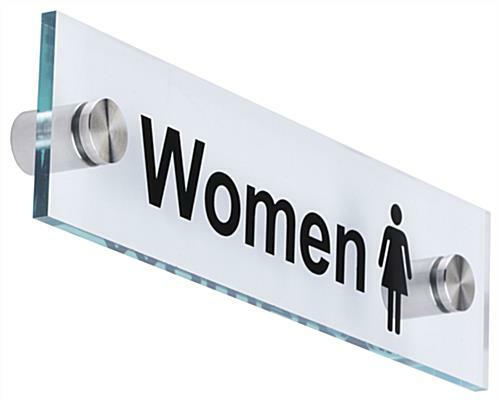 This bathroom signage with woman logo clearly and subtly indicates a female lavatory in an office building, or any other public space. 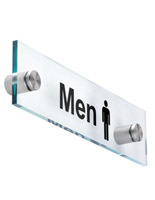 This simple, stylish restroom sign is easy to mount - just screw in the silver sign standoffs into the wall until it's tight, and voila! 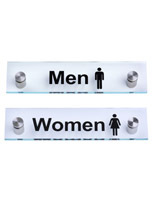 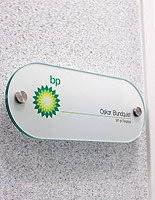 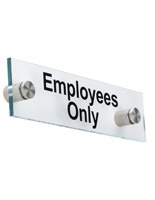 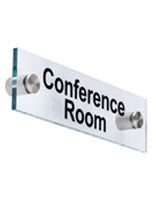 This bathroom signage with woman logo, also known as a directional sign, has attractive green trim and easy to view, fixed letters. 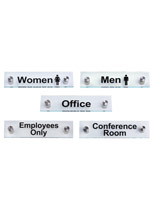 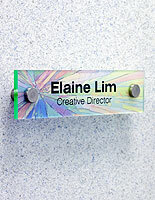 This bathroom signage with woman logo is a stylish and functional way to direct foot traffic toward the public toilet in a professional building or venue. 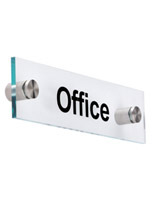 Mount these accessories on a wall or door and enjoy an instant, subtle improvement in the decor! 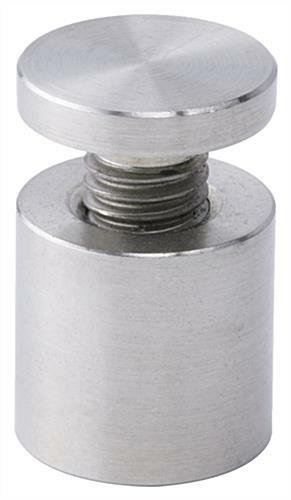 8.0" x 2.0" x 1.0"